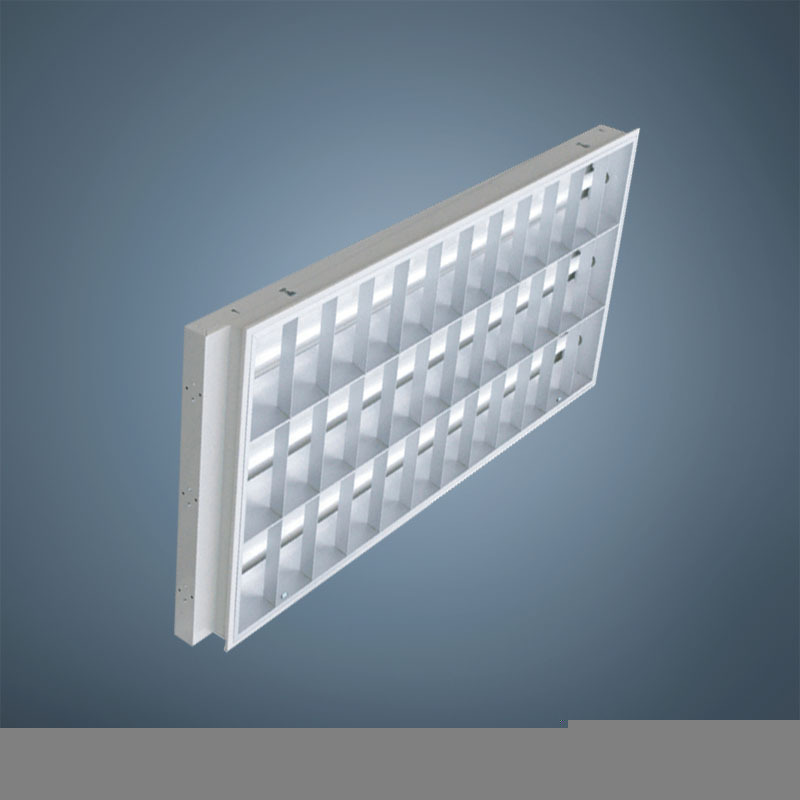 Description: T8 recess grille lighting fixture with the good quality aluminium or iron refelector; the thickness of lamp body steel 0.4-0.6MM, The thickness of reflector 0.2-0.28MM. Description of Office Lighting Fixtures: T8 OFFICE LIGHTING FIXTURES are widely used in office buildings, stores, supermarkets, schools, hospitals, hotel, car parks, factory floor, municipal engineering, home or decorative lighting areas, for daily lighting system. Their materials can be high-quality aluminum, steel and so on. They are in linear or square light shapes, with fashionable design, have nice appearances and high safety performance. They are using high-quality electronic ballast or magnetic ballast, wires, starter, lamp holders, terminal block and so on. All lighting fixture are in complete sets with fixing accessories and screws, which are easy to be installed, especially for DIY purpose. They are of different sizes, ranging from 2FT to 4FT, and different wattages, ranging from 18W to 2X36W. Operating voltage of them can be 220-240V-50Hz for European market, 100V for Japan market, or 110-120V for North American market.